Our cars can leak all sorts of fluids for many different reasons. Your power steering system is no different, so in this article, we’ll look at why your car may be leaking power steering fluid. Your power steering system is one of the many conveniences that cars now come standard with. Power steering used to be a thing only luxury cars came with or at least was an expensive option on passenger cars. 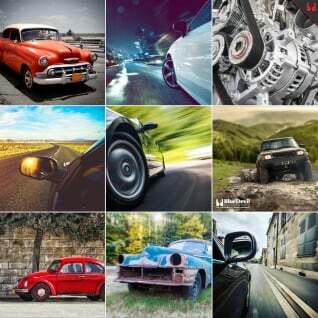 Today, every car sold has a power steering system. 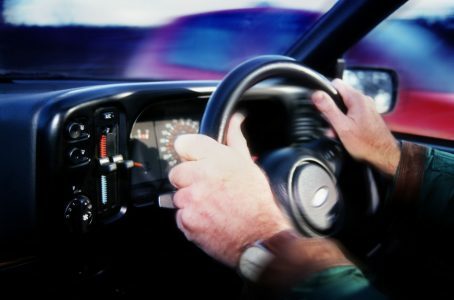 Whether it is a hydraulic or an electric system, ease in turning the steering wheel is something we’ve all come to expect from our vehicles. The power steering system in your car leads a relatively difficult life. In almost every case, the components of the system are mounted low and forward on the vehicle where they are subject to the majority of the road dust and debris you drive through. The extreme heat from the road, or freezing temperatures from ice and snow you’re driving through combined with dirt, grime, oil and rocks make for one of the harshest operating environments of any system in your vehicle. On top of that, your steering system has to be connected to your steering knuckle and wheel to accomplish its task so it is also subject to the jolt from every bump, corner and pot hole you drive over. These bumps may seem smooth due to the advanced suspension system in your car, but your steering system feels every lump and bump. Considering these operating conditions it’s impressive that most steering systems last as long as they do! Depending on the kind of vehicle you have, there are 1 or 2 things you can do to make sure your steering system operates properly for a long time. First, check the front of your vehicle to determine the type of steering system you have. One type of system, mostly used on trucks and SUVs, uses a steering gear with one arm and a linkage connecting the two front wheels. That one arm, called the pitman arm swings in an arc as you turn your steering wheel to move the linkage and turn the front wheels. The other type of system is called a rack and pinion and uses a steering rack mounted below your engine to translate the rotary motion of your steering wheel into linear motion of your tie rods. If you have a rack and pinion system you’ll have a long rack under your engine with a tie rod connected to the front wheels on each side. If you’ve got a steering gear system, the best thing you can do is make sure the joints in the linkage stay lubricated. If the joints have grease fittings, make sure to add grease regularly, maybe every oil change. If they don’t have grease fittings, simply keep a close eye on them for torn boots. If you have a rack and pinion steering system there should be accordion style boots that run from the end of the rack to the tie rod on each side. These boots keep the extension rods covered in your system which will keep them from getting scored or dirty which will significantly extend the life of your power steering rack seals. At the end of the day, the seals in your system can wear out for multiple reasons. They could become dry or cracked from a lack of use, or they could become worn out from a high number of miles. They can become scored or torn from their exposure to dust and dirt like we’ve talked about or they can start to shrink over time due to their exposure to old power steering fluid. In any case, if you have a leak from a seal in your power steering system, replacement options are almost always expensive and require replacing entire components as the seals can be inaccessible. In many cases, a bad seal will require replacing the entire power steering gear or rack. To help avoid these high maintenance costs, you should perform the preventative maintenance suggested above every oil change. Also, you should check your power steering fluid level every oil change as a low fluid level can also accelerate the wear of the seals in your system. If you find a low power steering fluid level, add BlueDevil Power Steering Stop Leak to your system to seal to leak and help keep you fluid level from dropping again. For more information about BlueDevil Power Steering Stop Leak, click on the banner bellow! 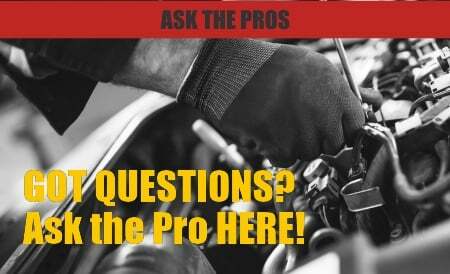 Basic Car Maintenance — What’s Included in a Fuel System Service?